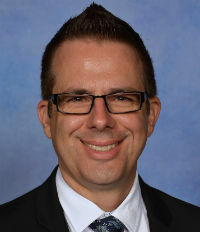 This year, Mark Savery has played a critical role at Emmanuel College as an advocate for education transformation, using virtual, augmented and mixed reality to bring engagement and a deeper learning experience to students. With a focus on students being creators of content, not just viewers, Savery has inspired students to use available tools like Microsoft’s Paint 3D and game-based software like Minecraft to create their own 3D models and export them into the VR environment. Students work collaboratively and individually to engage in the design process, then share their projects in virtual and augmented reality or by 3D-printing their creations. Savery continues to encourage the use of technology to the college’s executive staff.